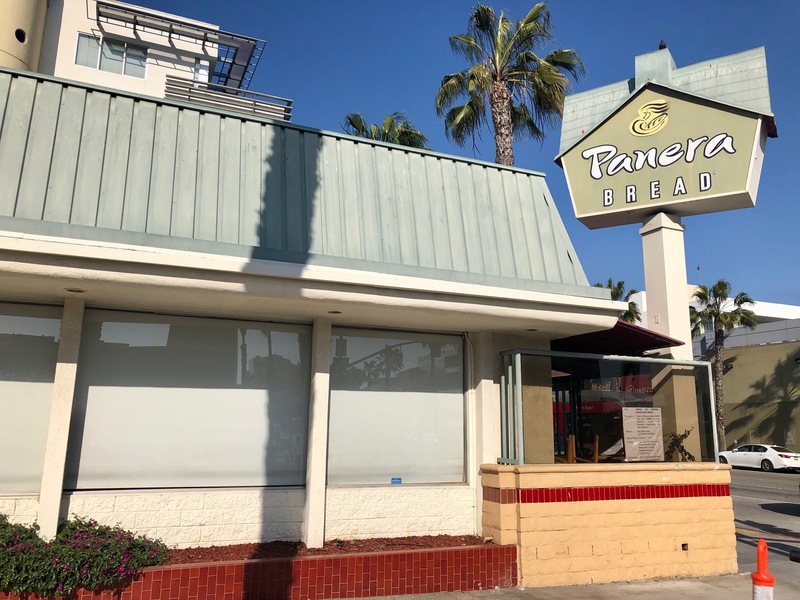 I LOVE a good tip… Ever since Panera disappeared from its space in the iconic building at 501 Wilshire Blvd., I’ve been hearing from mourning carb fans who are wondering what will take its place. A reader passed on the skinny: @retailroundrobin sent me a link to a real estate company Instagram post clearly showing that the space will soon be a branch of ever-poplar Shake Shack. See for yourself here. P.F. Chang’s Finished In Santa Monica? And while we’re on the subject of P.F. Chang’s, here’s more bad news… A sharp-eyed reader (Thanks E.R.!) noticed that P.F. Chang’s building at 326 Wilshire Blvd. was listed as up for lease last week. There aren’t any obvious signs that it will be closing, and they certainly still seem busy, but if the if the LoopNet ad is to be believed, they’ll be out before July 1. I don’t know what’s going on at P.F. Chang’s, but this certainly doesn’t look good following the recent closure of their El Segundo location as well. Café Crepe has long anchored the corner of Broadway and The Third St. Promenade, and was perpetually crowded with tourists. So it comes as a surprise that they have abruptly and unceremoniously closed up shop. A brief note on the door bids a quick Au Revoir, and mentions the Canadian company’s other LA location, at Union Station. Update: Indeed a reader did know more (Thanks Ryan! ): The restaurant’s name will be Shirubē. It will be an izakaya style restaurant that appears to be past their projected opening date. Check out their Instagram page here. Update: Eater has the full skinny here. It was a sad day when, after a brave effort, the people behind Chou Chou French Patisserie decided to pull the plug at 313 Wilshire Blvd. Now a new tenant is poised to move in. With one location on Hollywood Blvd., it appears that Hollywood Burger will soon be delivering “gourmet-style burgers” to the good people of Santa Monica. 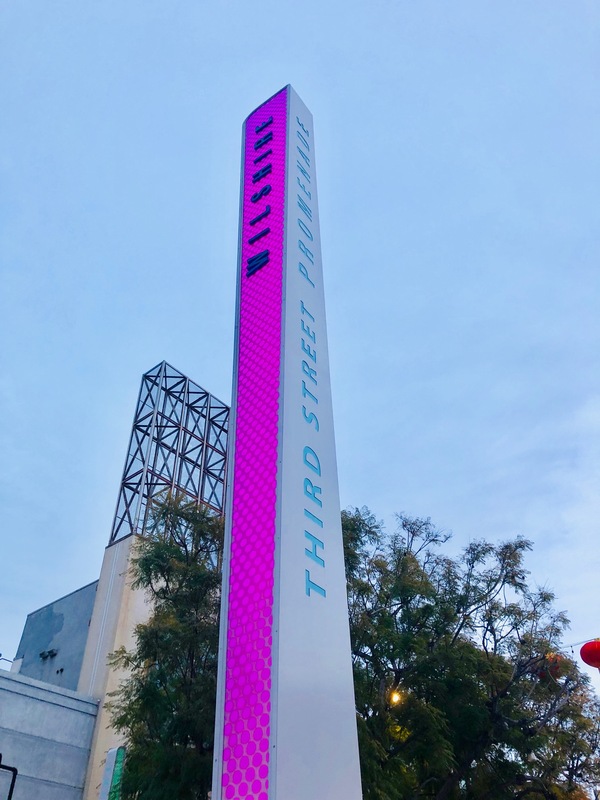 New Eateries Coming To Downtown Santa Monica… Halo Top, La Colombe, More! I love good detective work… A reader (Thanks SK!) sent me a pdf of a recent Downtown Santa Monica Market Report, which, on face value isn’t that riveting. But if you scroll down to page 11, the document lists upcoming restaurants slated to open in Downtown. Many I’ve already reported, but here are the ones I didn’t know about: Halo Top Scoop Shop (304 Santa Monica Blvd. ), La Colombe (604 Santa Monica Blvd. ), Fresh Corn Grill (720 Wilshire), and Gyu-Kaku (231 Arizona Ave).